video, Speed Champions is coming back next year with some new licenses. Not much info, but this is from the same leaker who shared the info about a possible Sports theme earlier today. That's true for right now but this leaker is sharing his info slowly, so I'll update the first post if anything new shows up. He shared more info regarding the Sports theme. Again, I'm not 100% sure if this guy is even telling the truth in the first place but we'll find out soon enough. In the meantime let's have baseless rumors and speculation! My cousin's barber's dog's babysitter's second twice-removed cousin/sister met somebody from Denmark once, and the dog says we'll be getting a classic supercar series. Lotus Esprit, Lamborghini Countach and that sort of thing. I can't wait! If we're going to speculate, I bet for some japanese cars. And if we're going to create threads for baseless speculation and to sponsor some guy posting silly Youtube videos, I'm going to lock it. Unlocked on request of the topic starter. Please keep the thread on topic, i.e. no baseless speculation of what might be or I'm going to lock it again until actual news surfaces. Fair enough, no speculation here. I'm just glad to hear that Speed Champions should be continuing. It's been a wonderful theme so far. There are so many I'd like to see, but one aspect of the theme that isn't necessarily dependent on make/model is the parts. This theme has opened up a whole new way and type of car to build with the wheels/tires and wheel arches alone. Not to mention that they're a great source for tiny curved slope parts at an affordable price, for the most part. 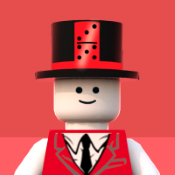 More styles and colors would be very welcome for more MOC possibilities. The sport rumors are true. I would sell my soul for Toyota. Specifically, for a Toyota Sprinter Trueno. They need to release the two GT40 models from the commercial they did a few months back. Those looked slick. The sets in this line have been great so far, this theme can go on forever with so many cars to choose from. Maybe a red logo for wave 3, sounds exciting. Probably wave three will have red logo.I'm curious,after 2017 the line will continue? Wave One was European, Wave Two was American. I'm going to guess Wave Three might be Japanese-themed, so that would likely give us Honda/Acura, Nissan/Infiniti, and Toyota/Lexus as the top contenders, and if we're lucky a bone might get thrown to Subaru, Mazda, and/or Mitsubishi. I'm thinking Acura NSX, Nissan Fairlady/Z, GT-R, and/or GT-R LM Nismo (Le Mans car), Toyota 86/FR-S and/or TS050 (Le Mans car), and Subaru Impreza for the main lineup. For the "support vehicle" set I'd love to see Lego tackle the new Nissan Titan Warrior concept, but it's very much an American pickup and they really put themselves out there with the Raptor, so maybe we could hope for a Toyota Hilux or, willing, a Land Cruiser. Or they'll go to left field and give us a Mitsubishi Fuso cabover. A Dekotora would be amazing and an acceptable support vehicle choice. Long shots/maybes: Toyota S-FR concept, Mazda Miata/MX-5, Mitsubishi Lancer, Nissan Navara (support vehicle), classic Subaru Impreza (in proper World Rally Blue with the neon yellow highlights). I also wouldn't put it beyond Lego to dip into one of the many racing subcultures Japan has to offer for the head-to-head set...likely a pair of drift cars, but I'd love to see some racing vans or something suitably wacky. What would Wave 4 look like? Korean? Global supercars? Classics? I don't think China has enough cache in their homegrown manufacturers to really have any recognizable designs. I could definitely see us getting some Mercedes based sets next year. The Safety car would be a great little set, although I'd most like to see a Aston Martin GTE and Toyota LMP1. I went to the WEC at Nurburgring the other week, did anybody see the half Lego and half real 919 LMP1 and the Porsche pit diorama with the red and black versions of the 919? If wave 3 gets a jap theme, i'd love the two car set (replacing the camaro drag race) to be some totally wacked out modded drifters, purple, pink, neon green etc... And id really love for one of the loose cars to be something old skool, something like a 280zx or similar And off course a rotary mazda, maybe the 787b? You're thinking wrong. I believe the real versions of all the street-legal vehicles available in Waves 1 & 2 were sold in the United States. I would expect this trend to continue given the importance of the U.S. market. The other cars were famous race cars from world famous racing series (F1) or world famous races (LeMans), or very famous historical race cars. Slightly surprised to see a merc pitstop set, given 2015s McLaren pitstop set, but if the theme will focus on F1 again for the race cars it makes sense. Excited about the AMG GT3, will be nice to add it to the 911 and R8 for the GT3 league, although i worry how well the smooth shape will translate. Ferrari F1 car will be a sure buy if its a single car set, will be my first SC F1 set! Now, speculation time, we've obviously get a merc license, and are back in europe theme wise, we still need one more single car, and my guess would be a Ferrari (488 GTB?, F12 might be as well), the Merc pitstop is either a single car €40 set, or a two car set, at either €55 or €80 depending on how much pitbox we get. Id also expect a porsche set, but i dont quite know what, maybe the 4th single car is a 911 GT3 RS rather then a ferrari? Anyway, yaaaaaaaay, new Speed Champions, cant wait! Mercedes Benz. I called it!!!! Also, Bugatti? You mean.... this?